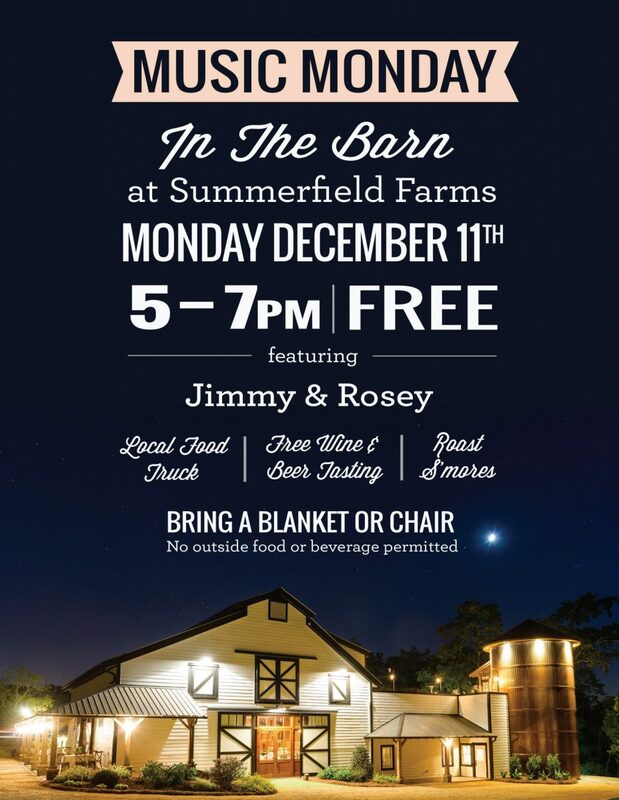 Warm up your Monday evening with music by Jimmy & Rosey in The Barn! Bring a couple of chairs, your closest friends, and enjoy savory food from a local food truck. There will even be a free wine and beer tasting and s’mores kits available for purchase in The Market.